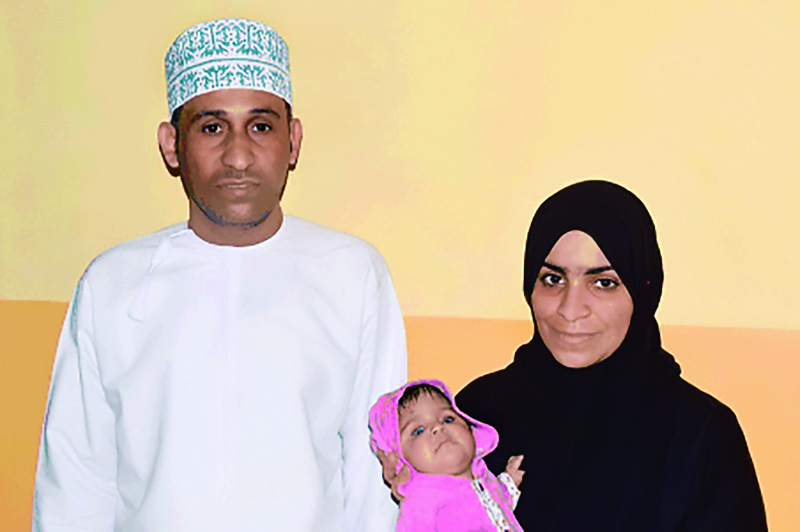 The series of complications little Rana was born with were unnerving for her young parents Rabba and Mohsin Humaid of Oman. The joy of her birth turned to despair when Rana was diagnosed with corneal infection and glaucoma, coupled with chest infection and hypothyroidism. With support from the Government of Oman, the worried parents contacted Dr Bhupesh Bagga at LVPEI for medical advice. Looking at the severity of the problem, they were advised to fly down to Hyderabad immediately. In January 2017, when Rana was brought to LVPEI her condition was extremely fragile with fluctuating levels of para thyroid hormone and aspiration pneumonia. Unfit to be operated upon, the first priority was to bring her vital signs to normal level. After receiving treatment at one of the city based pediatric hospitals, Rana underwent corneal surgery in both her eyes at the tender age of 9 months. “She now responds to light and is curious to see things around her. For us this whole journey has been nothing less than a miracle. We will forever be thankful for the wonderful support we have received from the entire team at LVPEI,” say the delighted parents. To keep her eye pressure controlled, drops have been prescribed and for better vision, the parents have been trained to fit contact lens in her left eye.